Before you go calling me a blasphemer, allow me to explain. The word Tierrasanta means Holy Land” in Spanish. And if you know anything about San Diego you know that the Spanish had a lot to do with the formation of this region. Missions and ranches made up what is now one of the best places in Southern California to buy homes. In fact, if you’re buying a house in Tierrasanta, you’re not just moving into a great neighborhood, but you’re getting a sense of history that’s almost impossible to find anywhere else. 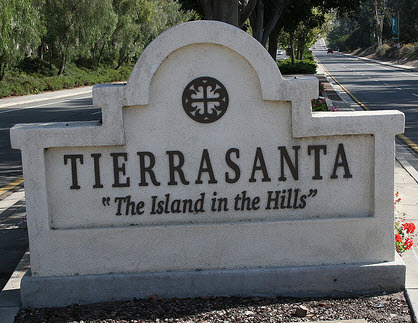 Most single family homes in Tierrasanta are newer builds than you’ll find in a lot of areas in San Diego City. In fact, the town wasn’t really a “town” until 1971. While that may make some home buyers think of shag carpeting and guacamole colored kitchen counter tops, let me assure you. What you’ll find in these homes are updated appliances, top of the line amenities and the much coveted granite counter tops. Personally though, what I’m most impressed with are the condos for sale in Tierrasanta. They’re all modern, safe and best of all affordable. I’d say about half the properties currently available in Tierrasanta are condos. These homes are perfect for older home buyers who like the idea of close neighbors and younger buyers who enjoy being tapped into a social scene. Many people feel that the best feature of the area are the many hiking, biking and riding trails. With nearby Mission Trails Regional Park, you’ll never be at a loss for something outdoors to enjoy. So why not find the trail that leads you to your perfect home in Tierrasanta? « Is a Home with a View Worth It?